Far and wide, women have searched for a skimo race boot built specifically for them. Alas, the search has ended. The Sytron W is a breath of fresh air and takes the title of the first ever female-specific boot in this category. Built upon the same platform as the Sytron, the Women's version flaunts refreshingly-simple usage, fuss-free performance, and a weight that tips the scales in your favor. A sturdy sole ensures sure-footed footing while booting and an unbelievable range of motion makes any mountain range suddenly feel a lot smaller. A cuff adapted to women’s calves and a redesigned liner make your feet feel at home. The slick ski/walk mode lever is tied to the upper buckle for quick, one-motion transitions. The Sytron W may just be the new favorite among those of us that like to climb fast, ski a ton, and have two X-chromosomes. 75° of ankle-articulation means no restriction when walking or skinning. Spider Buckle EVO secures your forefoot without pinching or hot-spots. CavoBike Pro ski/walk mode lever folds up and out of the way. Four forward-lean options let you fine-tune your balance point. Included power strap can add a bit of control for scary missions. New strengthened gaiter helps keep the powder off your liners. Removable plug prevents snow from getting in the boot-heel. Grip Guard soles provide tracking on rock, firn, and other surfaces. Grilamid cuffs are reinforced with fiberglass for improved skiing. Comfortable Sytron Liners incorporate elastic webbing for a snug fit. 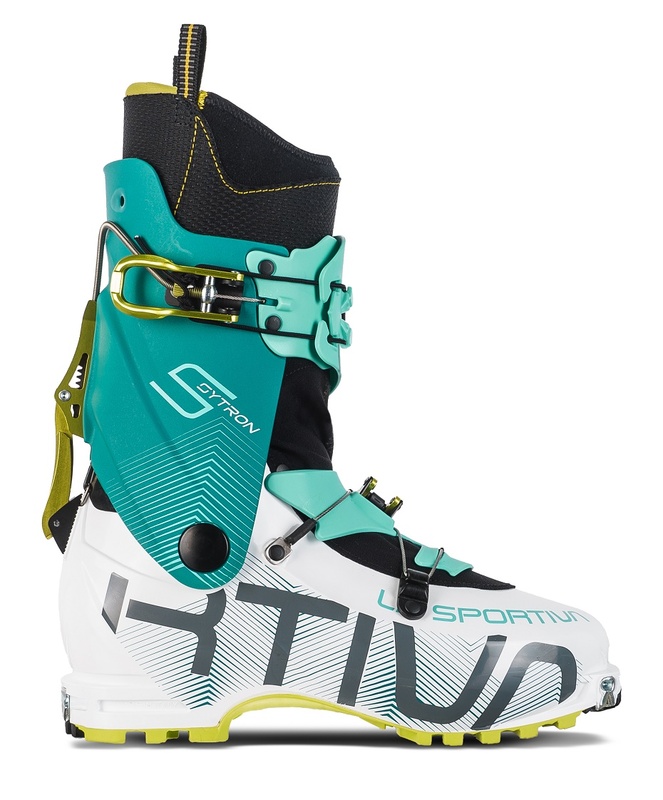 Specialized S4 toe inserts help ease binding entry for fast transitions and allow a unique hands-free step in to Ski Trab Gara Titan bindings. Hi, I have the La Sportiva Starlet 2.0 and am looking for a flex and fit comparison. I love the fit (wider toe box and narrow heel) of the Starlet and walkability but am looking for a much stiffer boot than the Starlet. Does the Sytron run much stiffer than the Starlet? Thanks! Hi Suzanne, the fit of this boot is relatively similar to the Starlet but this boot is not the stiffness you are looking for. It's a softer flexing boot than the Starlet. Hey Rebecca! Good to hear from you! 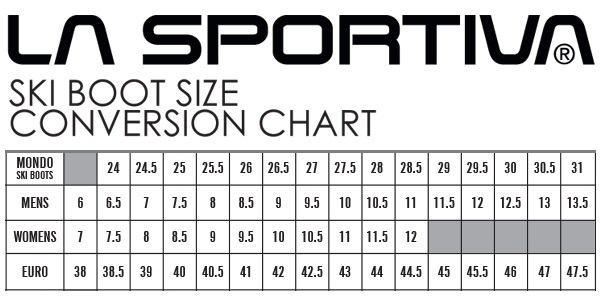 There are a ton of metrics that determine a proper boot fit outside of just the length, but based on the comfort fit in a 25/25.5 I'd definitely go with a 24.5/25 Sytron. Are the 24's and 24.5's in the same shell, just thicker liner? Hey Lizzy! Close, but not quite! The shell break goes 23.5/24.0 and 24.5/25.0 in these boots! But yes, thicker liner goes in the smaller one to fit a slightly smaller foot better!